Rosemary A. Sabat, 74, of South Park, formerly of Oakmont, PA, passed away peacefully, Tuesday, January 29, 2019, at Jefferson Memorial Hospital. She was born January 30, 1944, in Oakmont, PA. She was preceded in death by her parents, Frank and Rose (Mikos) Stangl, husband Peter Ludwig in 2016, and brother Alfred Stangl. She is survived by son Peter Frank wife Stacey (Valalik), brother John (Patti) Stangl of Greensburg, and nephew Jason Stangl, and niece Alyssa (Dan) Cuomo. She was a graduate of Duquesne University with Master Degrees in both Sociology and Education. Prior to retirement she taught at St. Irenaeus Catholic School in Oakmont, PA and also at Nativity Catholic School in South Park, PA as third grade teacher and Co-Principal. Services entrusted to the JEFFERSON MEMORIAL FUNERAL HOME, INC., 301 Curry Hollow Road, Pittsburgh, 15236. A funeral Mass of Christian Burial will be held at Tuesday, 10 a.m. February 5, 2019, at Nativity Church 5811 Curry Road Pittsburgh, PA 15236. 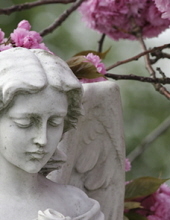 Interment will follow in the Jefferson Memorial Park Mausoleum Chapel. To send flowers or a remembrance gift to the family of Rosemary A. Sabat (Stangl), please visit our Tribute Store. Nativity Church, 5811 Curry Road, , PA 15236 If you are interested in traveling in the procession, please meet at 9 AM at the funeral home. Entombment will follow at Jefferson Memorial Park. "Email Address" would like to share the life celebration of Rosemary A. Sabat (Stangl). Click on the "link" to go to share a favorite memory or leave a condolence message for the family.